Payoneer account has been in existence since 2005. Payoneer is a financial business platform that provides online money transfer and payment services. It is also a registered member in Mastercard worldwide. The company is situated in New York City, USA. It gives access to people from different parts of the world to receive payment through their channel and at the same time be able to withdraw those payments. Payoneer allocates a virtual account number to their subscribers so as to ease access to payment made online as we all know Paypal denied Nigeria access to withdrawing funds from Nigeria. Payoneer serves as an easier means to withdraw payment from services delivered online. With Payoneer, you can activate a US bank account and then you’d be given a US account details that will contain your checking number and routing number. Those would be the detail you need whenever you want to receive payments into a US bank account. So, if you are interested in knowing how to open a Payoneer account, fund it and withdraw money from the account in Nigeria ; I am here to share that with you. Sign up for a Payoneer account Here and then continue reading. How to withdraw from PayPal as PayPal reject Payonneer Mastercard. 2. How to open a GTbank verify PayPal account in Nigeria for Free. Log on to www.payoneer.com then click on Sign Up. Application is totally free. Fill in your full name, address and other details carefully, as it is in the ID card you wish to use for verification. Set password, Secret Question and Answer and select your ID type e.g driver’s license, National I.D card, etc. Enter alternate address if it’s different from the address you provided earlier. Beware that the Payoneer Debit Card would be shipped to the same address in Nigeria. So it should be very clear and correct. Make sure you used the correct post code of the address you are using. After that, click on “Order” Button. It usually takes about few days for the application to be confirmed and approved after which the Payoneer Mastercard would be packaged and dispatched to your location here in Nigeria. Once you have been approved, you will receive notification via the email address you provided during registration. Delivery of the Payoneer Mastercard to your Nigerian address might take few weeks or months. If the estimated time has elapsed and you fail to receive it, there is need for you to visit the nearest Post Office branch in your locality, give them your name and the shipping address and they will help you to track it. You will be directed through your email address to confirm that you have received the card by login into your Payoneer account and keying in your card number. After that, you have automatically activated the card for use. You will be asked to fund it before you can be able to use it to pay or buy goods online. But if you have a fund online you wish to withdraw, you can go right ahead and do that. If you are looking for a safe, reliable and widely accepted means of payments and carrying out your transactions online, Payoneer MasterCard is solely meant for you. Immediately after you activated your card, there is need for you to log into your Payoneer account with the details you provided when signing up. After logging into your account, go to “Receive tab” on the top menu to see a drop down menu. From the drop down menu, click on US virtual Bank Account. Fill in the required information in the boxes provided. After submitting the form, patiently wait for your account creation and confirmation. This usually takes few business days. Withdraw money from Nigerian ATM a machine that supports Mastercard options. 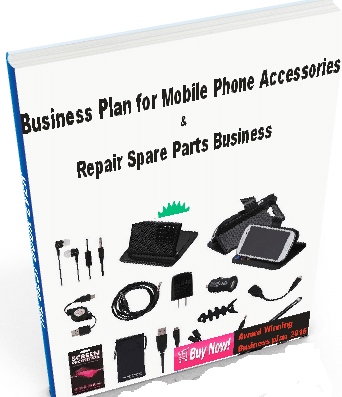 Shopping online in stores such as Amazon, Aliexpress, WalMart, AliBaba, Konga, Jumia, etc. To withdraw your online income in platforms such as fiverr, freelancer, etc. To Fund your Payoneer Mastercard Account via Card Transfer, Payoneer provides a platform that allows Transferring fund from any other Payoneer Card, Visa, Verve or MasterCard from any bank around the world. All that is required is to locate the Payoneer Load Card Option on www.payoneer.com and fill in the required information. The data usually needed at the Payoneer Load Card Page include email address of Payoneer Card Holder you wish to fund, Card Type, the Amount, reason for transferring to the Payoneer MasterCard. After filling and submitting the form, a transaction fee of $7.50 is to be deducted from the transferring account as charge for the transfer. 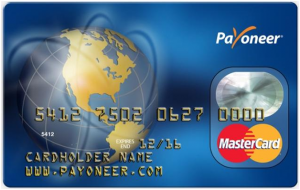 Funding Payoneer MasterCard via Online Earnings from Partners. Another means of sending money to your Payoneer account is by being paid for services you render online on freelancing websites or affiliate sales that you made. This process is not difficult at all. Simply select payoneer as your payment options. Then fill in the card details into the space provided exactly as it is on the card and then save. Withdrawing cash from payoneer is quite easy and simple, just use one of the method provided below. You can use the Payoneer Mastercard to withdraw money from any Nigerian ATM pay point that accepts MasterCard using the normal ATM withdrawal method though some charges are incurred on each withdrawal. You can also do Withdrawal of Funds from Payoneer to Your Local Bank and thereafter, withdraw the cash via your local bank account. Payoneer introduced Local Bank Transfer service which allows you to withdraw your funds straight into your local bank account. This service is open to anyone with a Payoneer account in 210 countries and Nigeria is part of these countries. Now you don’t necessarily have to use your ATM every time and incur some unnecessary charges. You can withdraw your funds straight into your bank account and then withdraw via your bank ATM. When you transfer to your local bank account, charges are lower. Log in to your Payoneer account. From the main menu, select Withdraw and then To Bank Account. If it’s your first trial, there is need for you to add a bank account in order to begin withdrawing funds. To do so, click + Add new beneath the bank account field and fill in the required details. The required details will include card number, card CVV, date of birth and password. This is a security measure. You can now submit your bank information to complete the sign up. This sign up will have to be approved manually which means they will check all your details to be sure your account is in indeed correct. Add your bank name like “ZENITH BANK PLC”. Add your bank account name just like you have it on your account, and then enter your 10 digit account number. For the swift number of your bank, go to Swift Code Nigeria to get your bank’s swift code and put it in the swift code space. For bank address, enter your local bank address. For bank account descriptions, you can key in “savings account”. Agree to terms by checking the boxes and click “finish” and you are done. Once submitted, your bank account details will be reviewed and verified. This process generally takes a few business days. Once your bank account has been verified, you will receive an email confirmation and can then begin withdrawing funds. In the drop-down box, select the currency balance or card from which you would like to withdraw funds. In the To drop-down box, select the destination bank account – the bank account into which the funds will be deposited. In the Withdrawal Amount field, enter the amount which you would like to withdraw. Before entering the amount, note the minimum and maximum amounts and your available balance. Also know that you can only withdraw sums not less than $200 and sums not higher than $10,000 at any time. In the Description field, enter a short description of the withdrawal. This is a mandatory field. Then Click Next. Fill in the details in the Security Confirmation page and click Finish. That’s it! You will receive an email confirmation after completing the withdrawal and the funds will reach your account within 3-5 business days. After you Withdraw Funds from Payoneer to Your Local Bank, then you can use your local bank account to withdraw your money. You can also use the services of genuine and verified e-currency exchangers in Nigeria to fund your Payoneer MasterCard. To withdraw money from your account, you would have to sell your Payoneer funds to them; they would then credit your bank account with Naira using their Dollar to Naira exchange rate. One good exchanger you can use to buy or sell Payoneer funds is MyTopExchange.com. On their website, they deal on exchange of Payoneer funds, Skrill, PayPal, Neteller and Bitcoin. On visiting their site at https://www.mytopexchange.com, you would first have to Sign-Up before you can perform any exchange transaction with them. All thanks to Payoneer Mastercard. Withdrawing money from services rendered online has been made much easier instead of going through the hurdles of looking for numerous means of withdrawing online income. With payoneer Mastercard, you can be able to receive money from any part of the world and have it transferred down to your local bank account with barely 1.5% charge of the transaction amount. The payoneer platform has given most Nigerians meaningful means of earning income online. If you have not register for a new Payoneer account, you can Sign Up now. If you have any challenge with your Nigeria Payoneer account, use the comment box below to your drop question(s) or comments. Only ACH (US local bank) transfers in USD can be accepted. Transfers made from a company account owned by you cannot be accepted. Hello, I got paid in Pounds to my Payoneer account, is it possible for me to get the money transferred to my USD domiciliary account here in Nigeria?? 1. Is it possible for you to help me with my first time funding of my account in dollars? As I need to have a balance of at least $30 before requesting for the Master Card. 2. When withdrawing with the Master Card at Nigerian ATMs would the money be in dollars or Naira? When withdrawing with the Master Card at Nigerian ATMs the money will be in Naira. how much can you withdraw once from the Nigerian ATM using payoneer master card? Normal Nigerian ATM withdrawal amount. Hi, I just opened an account payoneer and I get royalties on Amazon. my fear is I saw a lot of negative reviews online about how some people never received their payments from Payoneer, has this ever happened to you or anyone you know and how many percent can payoneer be trusted especially when withdrawing from it into one’s Nigerian Domiciliary account, are there bound to be complications? You can exchange if you can’t withdraw directly. I finally open Payonerr account but I was told i must have 30:00$ before i can order for payoneer mastercard. 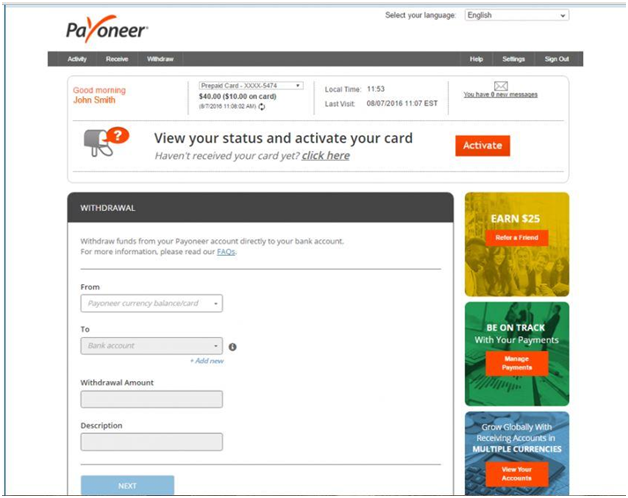 How to Fund Payoneer Account in Nigeria – 3 safest means! in providing the my bank details,hope the account will not be hacked.also is nigeria one of the countries that can use payoneer. Are you aware that Nigeria is not among the countries allowed to have the withdraw to bank option in payoneer. Try withdrawing and the threshold will be shown to you. Thanks a lot for this article. It’s wonderful. With my virtual US account number from Payoneer, can a person credit my Payoneer account from their own personal account in the USA? Payoneer prefers corporate account/business account. hello, can i make a withdrawal to my payoneer mastercard from a freelance site like fiverr when i have not yet received nor activated my mastercard? How will make a withdrawal to MasterCard that you have not yet received nor activated my mastercard? 1. Can I transfer funds from my payoneer account to my bank account in Nigeria. 2. How much is the minimum I can transfer. 3. If no to question1. I need someone I can send my fund to so he can pay me in Naira very urgent.